Last week had a theme running through it. Friday saw us mooching around the Brunswick Centre, prior to our trip to Coram’s. 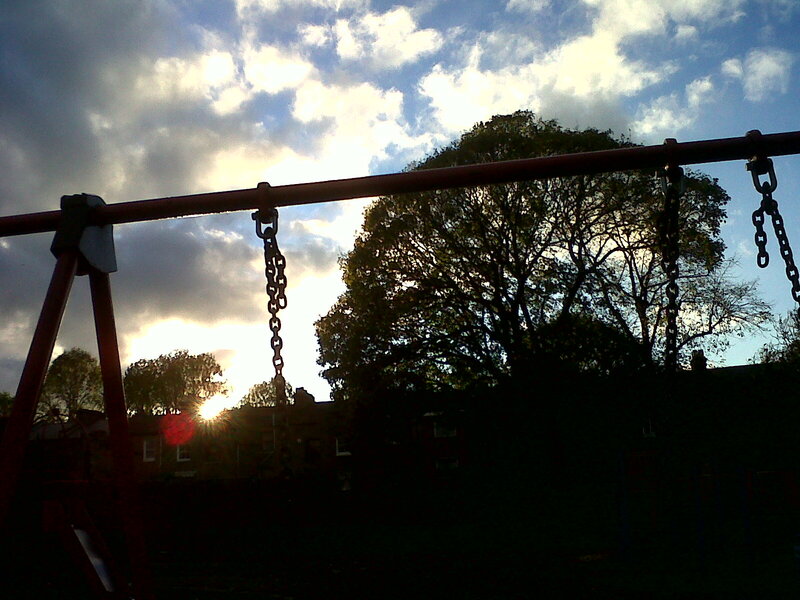 Thursday was a jaunt to Camberwell to Brunswick Park. Who is this Mr Brunswick who’s splattered his name all over London? Or is it a Mrs Brunswick? Even “Brunswick Park” isn’t unique within the M25 – there’s a whole area of Barnet with the same name. Sadly, extensive research (aka Google) has failed to find the answers. Go on internetters….enlighten me! We were back in Camberwell to see Roo’s friend Rufus, after our visit to Lucas Gardens a few weeks back. 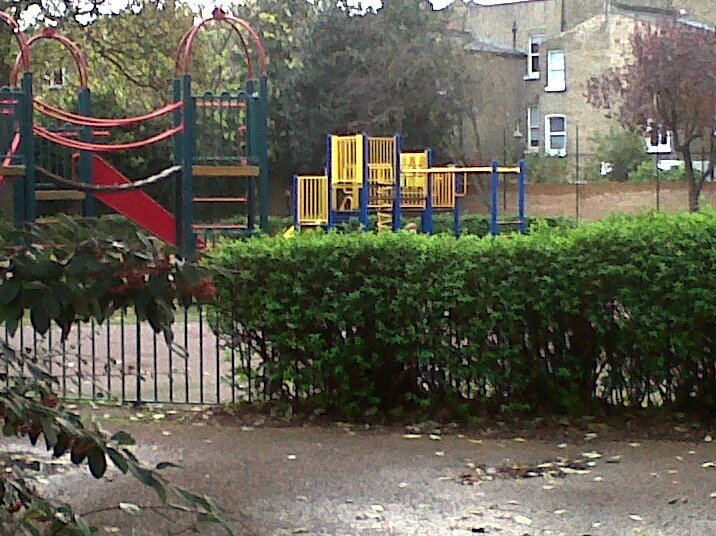 Lucas Gardens was a bit of a nostalgia trip for me, being right next to the flat we lived in as newlyweds. 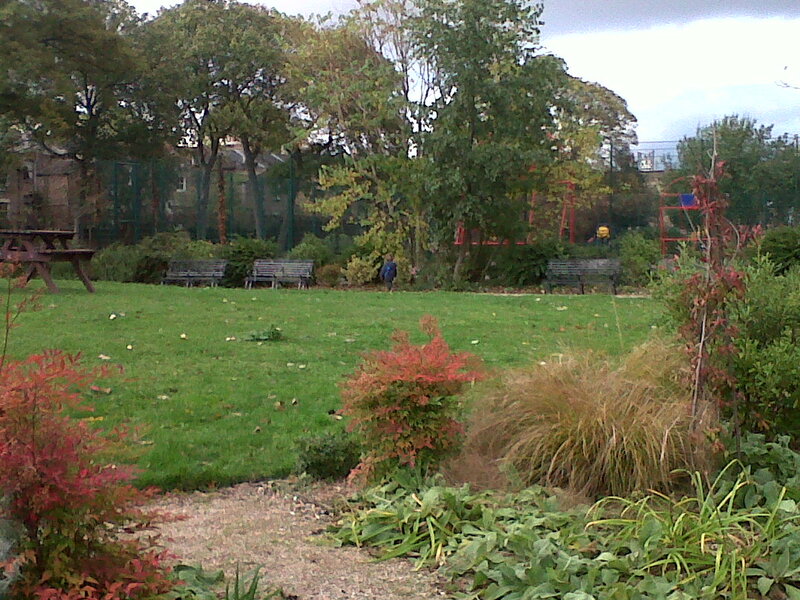 Brunswick Park, on the other side of Peckham Rd, was a complete unknown. Despite being a large park a few minutes’ walk away from our flat, we never went there.I guess that’s what life before kids was like – not so much hanging around parks in the winter. But that was then, this is now. Once again, Roo and Ru had cabin fever, so slightly-chilly-park it was! And it was a perfectly nice park – a large grassy bit, tennis and basketball courts and – of course – a playground, with swings, two climbing frames and one of those inexplicable yellow spheres on a pole. Once again, I ask the internet – what are they? There were kids throwing things at it, so it could be a thing to throw stuff at. But that doesn’t narrow it down – this being Camberwell, it would be easier to make a list of things that kids didn’t throw stuff at. A nice park then, if unremarkable. Apparently there will be a cafe coming soon, hopefully one in view of the playground so Rufus’ Mum and I can sit in the warm with our babies while the crazy boys run around. There is also apparently an albino squirrel called Boris who lives in the park, but I didn’t spot him. Maybe next time. What is remarkable is that this was the birthplace of the “Zoom, zoom, zoom” game, now famous in countless homes around South London. OK, countable homes – ours, Rufus’, Roo’s friend Ayla’s. Three homes, I guess. It was created by Rufus’ Mum and it goes something like this – take the popular preschool song “Zoom, zoom, zoom, we’re going to the moon”. Replace “moon” with any other noun (e.g carrot). Giggle insanely. Repeat. It sounds simple but…well, it is. But the children went crazy for it. And we play it most days when Roo needs a quick pick-me-up. So there’s a tip for you right there! 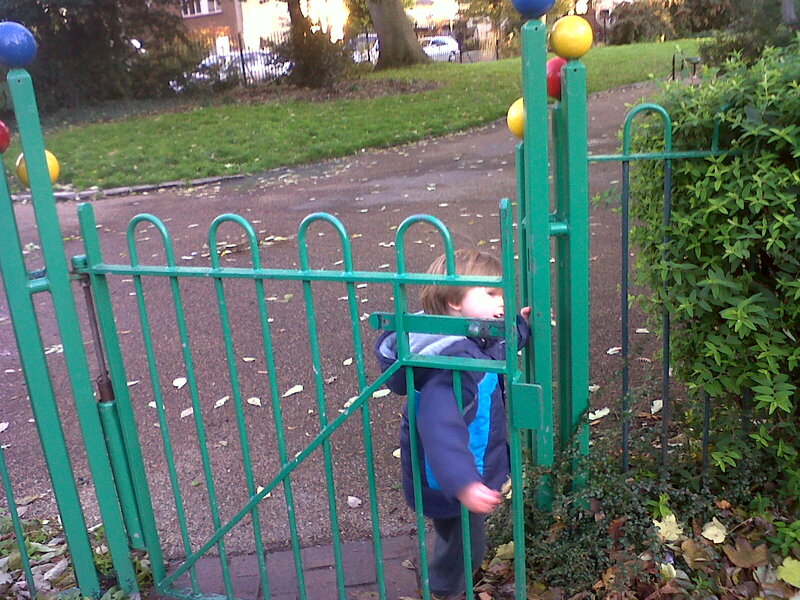 This entry was posted in Token attempts at fresh air (parks) and tagged parks, playground, slides, South London, swings. Bookmark the permalink.